Bigger than you think... and growing, too. Sure, the staff of Memorial Hospital can stitch up the common laceration and set a broken bone. But did you know that ongoing hospital expansion is allowing specialized services like shoulder anthroplasty and total knee replacement to be performed locally? Meet your new breast friend. 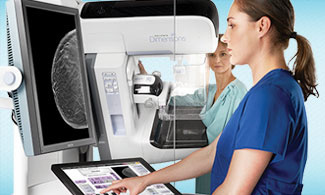 Women receiving 3D mammograms at Memorial Community Health will only notice a few extra seconds in their exam but the Genius™ 3D mammography system will notice a lot more! Everyday we're adding life to years. We believe that quality of life is every bit as important as quantity of life. 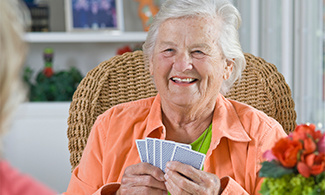 That’s why our senior living residences focus heavily on independence, activity and fun. We know every moment really does matter. People don't care how much you know until they know how much you care. The doctors of Memorial Hospital average 22 years of general practitioner experience right here in our community. Beyond just being your health care providers, they’re your neighbors, fellow committee members, and friends. It's the little things that keep us up at night. 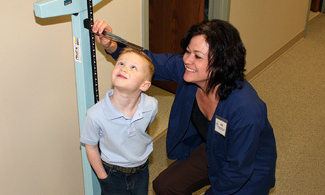 Care givers at Memorial Hospital work hard to facilitate a safe, comfortable, and successful pregnancy. But it’s the personal attention and the family-friendly recovery rooms that ensure that our littlest patients (and their mommies) aren’t just cared for, they’re pampered. April 17 (Wednesday) – Diabetic Education Support Group from 10:00-11:00 am in the hospital conference room. April 25 (Thursday) – Caregivers Support Group at 2:30 pm in the Memorial Hospital Conference Room. Led by our trained facilitators, this group provides a safe place for caregivers, family and friends of persons with dementia to build a support system, exchange information, share ways of coping, and more. April 27 (Saturday) – April will bring showers of gratitude as we recognize the generous efforts of our volunteers at our annual Volunteer Brunch at The Leadership Center in Aurora. Open to volunteers of Memorial Hospital, Memorial Community Care, East Park Villa, and the Hospital Auxiliary. May 1 (Wednesday) -- BFF (BreastFeeding Friends) peer/support group meeting from 7:00 - 8:30 pm in the hospital conference room. Free baby weight checks, networking, and advice from our certified lactation counselors. For more info, call 402-694-8223, email motherbaby@mchiaurora.org, or visit our Hospital Services - Birthing Center webpage. June 22 (Saturday) – Mark your calendar, grab your tennis shoes and get movin’ in preparation for MCHI's Fun Run and Wellness Walk. Stay tuned for more information soon.